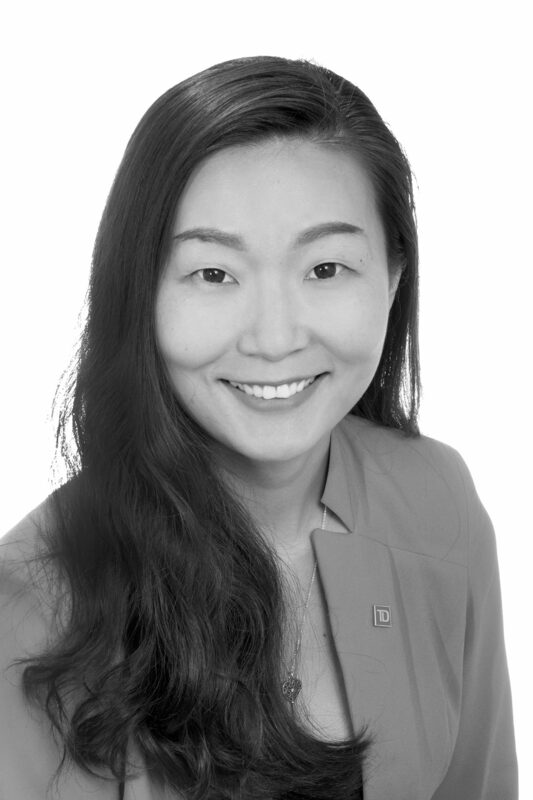 Emily Song, Senior Private Banker, has been working in the financial industry since 2007. Emily's prior experience includes TD Retail Banking and TD Direct Investing. Fluent in both Chinese and English, Emily is passionate about providing strong financial advice to clients. She works efficiently, has a strong attention to detail and exerts great empathy for high net worth clients and their families. Emily strives to solidify the financial success that her clients envision for their future while endeavoring to provide a legendary customer experience. She takes a holistic approach to helping meet her clients’ personal and business financial needs through a wide range of complex banking and credit solutions. She is also supported by a team of TD Specialists, including but not limited to, administrators, investment and estate managers and tax planners. All of these Specialists are available to Emily's clients for their additional wealth planning needs. Emily holds an undergraduate Finance degree from St. Francis Xavier University and is a proud recipient of an MBA from the University of Prince Edward Island. During her career and her dedication to continuing education, Emily has earned her Professional Financial Planning (PFP) designation. Away from work, Emily enjoys travelling, outdoor activities. Nothing is more important to her than her time with friends and family. Sharon Nichol has over 25 years of financial industry experience with TD Bank Financial Group. As a Client Services Associate, Sharon prides herself on the personalized service that she provides to all Private Banking clients. Away from the office, Sharon and her husband are happy and busy with their 5 year old twin sons.